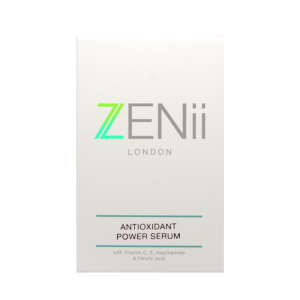 The ZENii RadianceRoller is a powerful skin rejuvenation tool that can help you get the most out of your topical skincare & can help you achieve your skin health goals. It is a high calibre home microneedling device designed to help your topical skincare penetrate deeper and have more impact. Regular roller use will help to brighten, rejuvenate & stimulate your skin. The Radiance Roller is a high calibre 0.3mm home microneedling device designed to help your topical skincare penetrate deeper and have more impact. Regular roller use will help to brighten, rejuvenate & stimulate your skin. ZENii RadianceRollers are made with the finest surgical steel and have 540 microneedles per roller with a needle depth of 0.3mm. This is the ideal needle depth for skin needling in the home environment. The RadianceRoller painlessly creates tiny microchannels through the surface of the skin, allowing active skincare products to penetrate deeper. Home microneedling also stimulates increased epidermal turnover, improved skin radiance, improved circulation and improved skin tone. Immediately after using the RadianceRoller you can apply skincare products such as retinol (for an anti-ageing boost) or hyaluronic acid or antioxidant power serum (for a brightening and hydrating boost). They simply penetrate deeper due to the micro-channels created by the rolling. 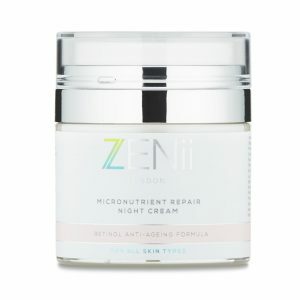 This allows your skincare to have more impact. Use for: Skin rejuvenation, improved penetration of skincare, scarring, dullness, anti-ageing & improving skin texture. If you wish to apply products while rolling then light weight serums are generally better absorbed & tolerated. They can be applied before or after the procedure. Hyaluronic acid, peptides, Vitamin C, Vitamin E & Retinol are all popular microneedling products. Thoroughly clean your RadianceRoller after each use with ZENii Sanitising Solution. 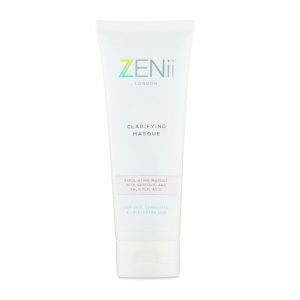 Soak your Roller in ZENii Sanitising Solution for 15 minutes after each use. Do NOT soak in boiling water as this can cause damage & loosening of the needles.